OTTAWA, Canada, and SINT-NIKLAAS, Belgium, 6 October, 2016. 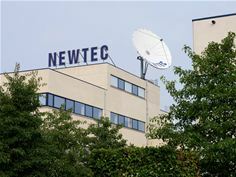 Newtec – a specialist in designing, developing and manufacturing equipment and technologies for satellite communications – today announced it was selected by General Dynamics Mission Systems-Canada to provide its MDM9000 Satellite Modem to the Canadian Department of National Defence (DND) for use on its Aurora fleet as part of its Aurora Incremental Modernization Project Block IV upgrades. The CP-140 Aurora is a long-range patrol aircraft operated by the Royal Canadian Air Force for domestic and international defense missions. They are used in a wide variety of operations, including strategic airborne surface (sea and land) and subsurface missions, as well as maritime, overland Intelligence, Surveillance and Reconnaissance (ISR) and Search and Rescue (SAR) missions. The fleet contributes significantly to the security of Canada and North America, and supports the restoration and maintaining of peace and security in regions around the world. Under the contract with General Dynamics Mission Systems-Canada, Newtec will deliver the MDM9000, a ruggedized ATR-size airborne modem, to provide High Data Rate (HDR), Beyond Line-Of-Sight (BLOS) airborne communication between the airborne platform and the DND ground network. The Newtec modem is equipped with the most advanced DVB-S2X and S2 waveforms, Newtec’s end-to-end FlexACM® technology for performance and fast link acquisition, is compliant with DO-160 and MIL-STD 810E standards, and will become the most advanced satellite modem certified to operate on Wideband Global Satcom (WGS) constellations. The Newtec MDM9000 airborne modem on the aircraft will communicate with a similar MDM9000 modem on the ground. The Newtec MDM9000 Satellite Modem is a versatile next-generation modem, optimized for use in a wide range of government and defense applications over satellite, such as intelligence gathering, fixed and mobile milsatcom deployments on WGS and commercial constellations. It is typically installed at both ends of a point-to-point satellite link or at the remote sites of a star network and integrates seamlessly with terrestrial networks and equipment.